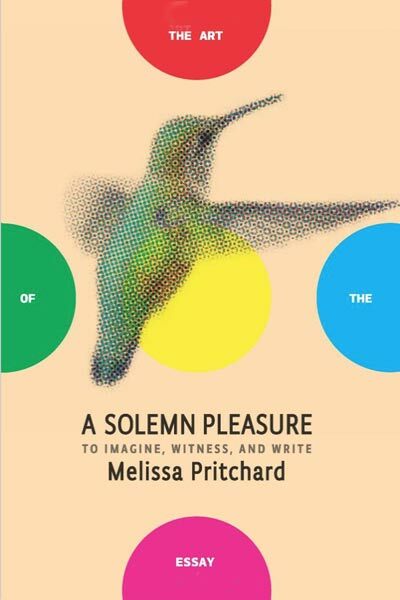 In an essay entitled “Spirit and Vision” Melissa Pritchard poses the question: “Why write?” Her answer reverberates throughout A Solemn Pleasure, presenting an undeniable case for both the power of language and the nurturing constancy of the writing life. Whether describing the deeply interior imaginative life required to write fiction, searching for the lost legacy of American literature as embodied by Walt Whitman, being embedded with a young female GI in Afghanistan, traveling with Ethiopian tribes, or revealing the heartrending tale of her informally adopted son William, a former Sudanese child slave, this is nonfiction vividly engaged with the world. Through fifteen magnificent essays, Pritchard shares her passion for writing and storytelling that educates, honors, and inspires.